eBay is hiring customer service representatives who can work from home, including 120 positions in the US. eBay launched the program, called eBay@Home, in Ireland in 2017 and also has a work-from-home program for its StubHub ticketing marketplace. eBay will provide the work-from-home reps with the necessary technology along with five weeks’ paid virtual classroom and on-the-job training. eBay is immediately hiring over 40 workers in Akron, Ohio, and is inviting 80 existing customer service employees currently based in its Salt Lake City, Utah, and Austin, Texas, facilities to join the eBay@Home program. In May, eBay CEO Devin Wenig revealed the company had rolled out bilingual customer service in the US. You can read today’s full announcement on the eBay corporate blog. “Almost two years ago, the company embarked on a multi-year journey to transform customer service at eBay. As part of this effort, we introduced a concierge service for top buyers and sellers, built a program to support new buyers, and piloted new technology to better serve both our sellers and shoppers. eBay@Home was conceived almost two years ago as part of this overall initiative to transform customer service, and in October 2017 we rolled out the eBay@Home program in Ireland, which provides support for eBay’s U.K. customers. Since then, we have seen an increase in customer satisfaction with our eBay@Home support in that market. Great Idea. Now we get to wait while the CS changes diapers and flips the burgers on the grill. Nothing more useless than trying to talk with someone who is not totally listening to you. CS people have never been able to multi task. Just trying to get them to understand a simple problem without them tending to the crying brat is like talking to a brick wall. Will the scripts they read at home be any different than the ones they read at “work”? Great. More $3 an hour methheads and illiterate tweakers, like Lithium. That will make the “customer experience” so much better. So you call “Customer Service” about a scamming buyer, some single Mom answers her samsung phone while she’s in the checkout at Wal Mart with her 8 screaming kids and has about 3 seconds before her battery goes dead to decide how to help you. What could possibly go wrong? I am not generally a fan of ebay, but lots of companies do this. The requirements are a quiet area, internet and a computer screen or two. They will be paid market rate, have set hours. Bash them on 1000 other things but not this one. Wow, some ugly comments. There are a lot of decent people out of work and looking for jobs. Possibly even some ebay sellers who can’t make a living selling on ebay any more but know the ins and outs could supplement their income doing this work. It would be nice to have more U.S. customer service reps to boot. I have no squabbles with this idea. People who want to work at home tend to be people who don’t want the drama of the call center and wish to be more focused with the task at hand. The assumption that the majority people want to work it home so that they can goof around is a little absurd. @dander, @VeryGoodVintage2, @sdh424 I agree with your positive comments. 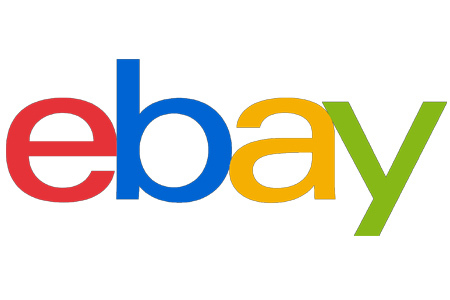 We ACTUALLY already work out of our home as eBay PowerSellers Top Rated Plus. We are a husband and wife small Marine Shop. We both put in between 60-70 hours a week, ACTUALLY WORKING! We are more relaxed then when we worked our Corporate jobs;…We don’t have to drive in commuter traffic; and don’t need to “go out for lunch”..just walk to the kitchen! We have an eBay 100% Feedback Rating and 0.00% Defects across the board. One does not achieve that by treating “the job” indifferently or unprofessionally. That is quite an assumption by some of the ugly comments left, that a CSR working from home would be changing diapers, and flipping burgers while the work. Hey! with the reduction in Final Value Fees, Increase in the charges for Listing Fees, increased costs of shipping, and now the whole fiasco of Internet Sales Tax….maybe this would be a better option for us! Liquidate our business, and with our knowledge base AS eBAY SELLERS coupled with their training…We would make excellent Customer Service Reps! Ones even you NAY SAYERS would probably appreciate working with! I get really, really tired of reading comments that are automatically negative simply because the subject is eBay. Just because you’re not a fan (or totally despise) eBay, that doesn’t mean you should bash them for every single thing that they do or don’t do. I am most definitely NOT a fan of eBay, but, as others have said, what their doing in this instance is a good thing. I, for one, would greatly appreciate talking to someone who speaks English that I can actually understand and who, in return, actually understands me. Sorry, meant to say, “they’re”, not “their”. Has ebay indicated how this will in anyway IMPROVE the CSR experiemce? Will the sellers now win 2% of disputes instead of 1%? If the at home person doesn’t answer, will the call roll after 10 rings? Hahahaha….new customer service reps won’t improve bogus eBay policy nor will the script change from “I’m sorry, I can hear your frustration, but there is nothing I can do, because eBay has tied my hands around my back”. The only thing that will improve is your will be to understand the CSR when they say these things to you. So glad I am leaving eBay as a seller and left eBay as buyer many years ago. If it paid well enough, I would jump at one of these jobs. I know about ebay from a sellers POV and would rather work from home. Why do they have to limit the employees to a few states?